The annual Screen International UK Film Finance Summit heard calls for a quick resolution to the current delay in ratification of the planned new tax law. But the clear message from a distinguished series of panellists was that the industry needed to improve its commercial skills and adapt to customer-driven change, rather than putting too much reliance on state aid. 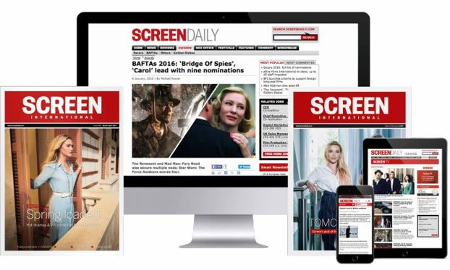 ScreenDaily revealed on the eve of the conference that there were delays in European Commission approval. The exact sticking points remain unclear at present, although the disagreements appear to be about whether the cultural test underpinning the tax breaks is valid under European law. Robb Klein, a film law expert and partner at SJ Berwin, said the biggest immediate problem was the further delay to an already convoluted process, particularly given the competition with other tax schemes around the world. But John Graydon, managing director of Tenon Media said: "It's still better to wait and get it right than rush through something that doesn't work." Providing the European Commission does not demand significant change, the suggested tax regime looks reasonably sound, albeit with some outstanding "soft issues" in areas like discounting and the definition of a production company, suggested Harry Hicks, Senior Film Advisor at accountants Grant Thornton. Most of those outstanding issues could be resolved once the regime is up and running, he suggested. The theme of the conference, however, was that over-reliance on tax credits was a danger. Lars Sylvest, founder of Brass Hat Films, warned that the tax credit systems around the world were actually damaging the industry, shifting the emphasis to soft money rather than meeting customer demand. And keynote Patrick McKenna chairman of Ingenious Media warned the UK film industry's most pressing need was not tax but the managerial skills to match its creative talent. "It's not a question of financial support but of skills," he told delegates. He said the industry needed to understand that we were going through a period of major change with new platforms, greater competition for people's spare time and more demanding customers. "We need to understand that creativity and commerce are not necessarily in conflict." The theme was picked up by many speakers, including UK Film Council CEO John Woodward, who warned the industry needs to adapt to new platforms like video-on-demand that need a different approach to film-making.